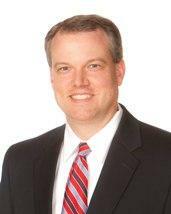 Charlie is an experienced trial attorney who for the past 18 years has devoted his practice exclusively to defense litigation in both state and federal courts throughout West Virginia and southeast Ohio. Charlie’s extensive defense practice ranges from complex commercial and consumer litigation to serious injury/wrongful death cases. He also has briefed and argued matters before the Supreme Court of Appeals of West Virginia, Ohio Courts of Appeals, and the United States Court of Appeals for the Fourth Circuit. In addition to his wide-ranging trial experience, Charlie has skillfully resolved countless cases through dispositive motion briefing, mediation, arbitration, and direct settlement negotiation.